Nigel grew up in County Fermanagh, rural Northern Ireland, and as a child spent most of his time battling boredom, looking for adventure – crawling through ditches, climbing trees, devising games to play with his brother and sister, and reading. His favourite book as a child was The Witches by Roald Dahl. Nigel now lives in London. He has written articles on film and literature for a number of websites. He is always on the hunt for books about folklore and fairytale. He wishes he had more time to climb trees. Follow Nigel on Twitter @NMcDowellAuthor. The House of Mountfathom (1 October): There is a house. Surrounded by a high wall. Behind which magic happens. Luke Mountfathom knows he is special and odd. He is told so by everyone he knows. 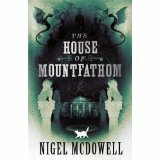 His parents are special and odd too – they are the keepers of the House of Mountfathom, a magnificent stately home where the wrong door could take you to a far away land, and strange animals appear to stalk the grounds at midnight. The house is his home – but it is also the headquarters of the Driochta, a magic-weaving group of poets, artists, politicians and activists charged with keeping the peace in Ireland. They have many powers – have mastered Mirror-Predicting and Smoke-Summoning and Storm-Breaching – and a final ability: that of Mogrifying; taking on a unique animal form. But Luke’s idyllic existence at Mountfathom cannot last. Word reaches the House of protests across Ireland. There is a wish for independence, a rising discontent and scenes of violence that even the Driochta cannot control. In Dublin, death and disease is running rife in the tenements; a darkness is clogging the air, and is intent on staying. Then four members of the Driochta are murdered. Luke’s father is hurt and his mother goes missing. And now it is up to Luke, his cat Morrigan and his best friend Killian to worm out the heart of the evil in their land. 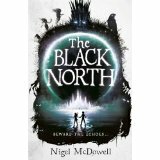 The Black North: Based on Irish legends and mythology.The Divided Isle, once a place of peace and tranquillity, has been ravaged by war. Twins Oona and Morris live with their grandmother in a stone cottage in the quiet southern county of Drumbroken, but the threat of the Invaders of the Black North – the ravaged northern part of the island – is coming ever closer. When Morris, fighting against the Invaders, is kidnapped by one of the evil Briar Witches, Oona must journey to the unknown realms of the Black North in search of her brother. She is accompanied only by Merrigutt, a jackdaw with mysterious transformative powers, and a treasured secret possession: a small stone in the shape of a plum, but a stone that reveals truths and nightmares, and which the Invaders and their ruler, the King of the North, seek more than anything. Oona must keep the stone safe at all costs, and find her brother, before the King of the North extends his evil hold over the whole island and destroys it forever. 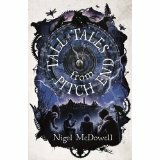 Tall Tales From Pitch End: Ruled by the Elders, policed by an unforgiving battalion of Enforcers and watched by hundreds of clockwork Sentries, Pitch End is a town where everybody knows their place. Soon-to-be fifteen-year-old Bruno Atlas still mourns the death of his Rebel father ten years ago, and treasures the book of stories he secretly uncovered: the Tall Tales from Pitch End. After discovering a chilling plot planned by the Elders, Bruno flees, escaping to the mountains where a bunch of disparate young Rebels are planning a final attack on Pitch End. With secrets and betrayal lying around every corner, Bruno will find himself fighting not only for his life, but the life of the town.